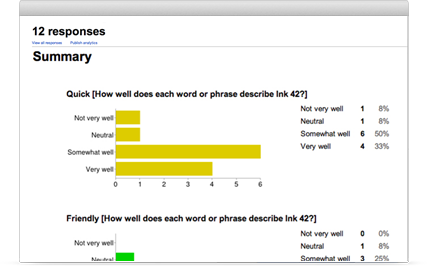 Create, simultaneously edit, and analyze surveys with your team, right in your browser. 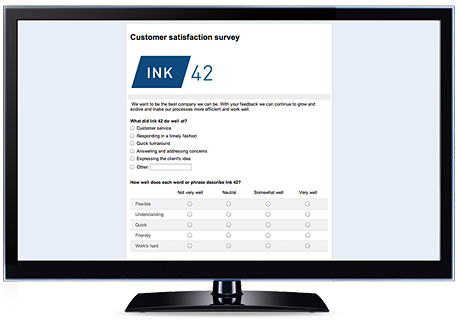 Manage event registrations, whip up a quick opinion poll, create a pop quiz, and much more. It’s easy to share forms to specific people or to a broad audience by embedding forms on your website or sharing via Google+, Facebook or Twitter. Real-time collaboration helps you create your form faster and let’s you analyze results together without having to send around multiple versions of the file. Yes. 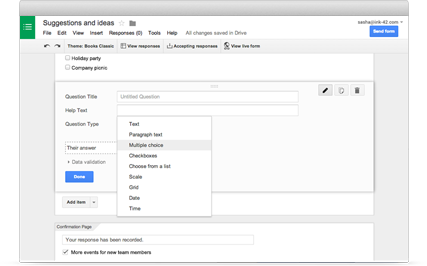 Google Forms can handle as much data as Google Sheets, and Google Sheets can currently handle 2 million cells of data. That’s a lot of data.